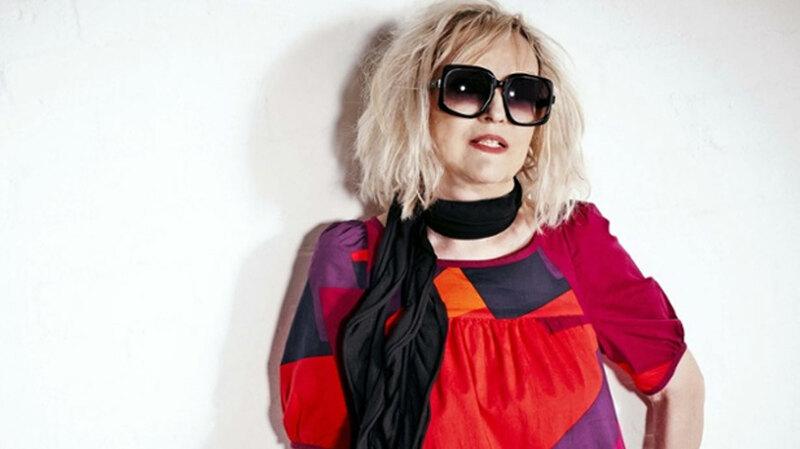 Currently celebrating 50 years in broadcasting, Annie Nightingale is marking the occasion by releasing a Masterpiece mix for Ministry Of Sound. Here, the Radio 1 DJ discusses her approach to the mix, shares some of her favourite new artists and looks back on just a few of the many highlights of her illustrious career. Hi Annie, how was Glastonbury? It was the best ever. From a work point of view, it went really well. I did a set at The Glade and it was packed. I was trying to play a really different set – with trap and grime – and I really didn’t know if it would work. But it did, and it was absolutely brilliant. I couldn’t see Kanye unfortunately, because I had to be at my stage while he was on. It was tantalising – he was so close! And he was obviously the biggest talking point, and people seemed to be very divided. I mean, I think he’s brilliantly-talented but it’s hard to tell whether that was a great show; he looked a bit scared when he was at the top of the cherry-picker, which I’m sure he was. The lighting looked fantastic, so it would have been great to see. How many times have you been to Glastonbury? I’ve been to almost every one since 1990. It’s very reassuring to know that it’s still there and that it still has the same idea and aims, and it’s still great. There are about a hundred stages now. And it’s not just about the music: there’s brilliant art there, and then you see all these weird things. There were people walking around with light-studded umbrellas, and I thought, “Oh, I want one of those.” It’s not just the music, it’s the odd little things that you notice. That’s what’s fun about [Glastonbury]. Everyone gets something different from it. When TV exploded in the early 60s, it was the young people taking over: at last they had the opportunity to do what they wanted, rather than just do a version of what their parents had done. That’s what it’s about to me. I mean, yeah, it’s a 50th anniversary thing, but it’s all about the tracklisting for me. I started with a wish list of several hundred artists, and I am so thrilled – and actually quite amazed – that so many people said yes. Including people who never ever appear on compilations. I never honestly thought Scott Walker would agree, I really didn’t. (Laughs) Because he’s such a moody, magnificent person, and very, very serious about what he does nowadays. I kind-of knew him all the way back in the Walker Brothers days, and then when he first went solo. He’s just extraordinary. Were you given any kind of brief for the mix? No. I think [Ministry Of Sound] were a bit bewildered because I was going back that far, and it wasn’t a dance compilation like Ministry normally do. They said, “Do whatever you like,” and they were incredibly supportive and helpful. I hadn’t realised what a big operation it is nowadays. I mean, it’s all very well writing down a list of your favourite tunes, it’s another thing entirely to license them for all the different territories. It’s the same as what I do building a show on Radio 1 every week: you sequence it so one track will lead you to the next, and it’ll take you on a wonderful journey. But if you have to take one out of the middle, it’s like taking a brick out of a wall; it spoils the whole feel of it, and you have to rejig the whole thing. So what was your approach for the mix? It’s basically about covering genres. So the first disc covers the British invasion, but then I also wanted London Grammar to be there because I think they are already kind-of classic. I love them so much. I didn’t want it to be chronological; I wanted there to be surprises all the way through, really. And I didn’t go for obvious number ones: it’s not like a Now That’s What I Call Music compilation, because they already do that. This was more about personal choice, and about picking things that are not incredibly obvious. For example, you wouldn’t put ‘Good Vibrations’ or ‘All You Need Is Love’ on there because it’s very, very overdone. So while these aren’t unknown tracks, if you think about the greatest hits of The Rolling Stones you probably think ‘Sympathy For The Devil’, ‘Honky Tonk Woman’ and ‘Brown Sugar’. But I felt like ‘Miss You’ fitted with Ministry Of Sound because it’s got a dance-y feel. And I just love it, and I love it when they play it live. And the McCartney track I just think that is absolutely one of the best songs he’s ever written. The sequencing is brilliant. In the first mix, you go from Propaganda to Scott Walker to Moonflowers to The Lovin’ Spoonful. Was it purely about what would flow well next to each other? That’s an interesting question because I think that happens a lot with DJ mixing: you might think, “Ooo that’s a nice 129bpm; that would sound good after that.” I don’t work that way. I’m more interested in the actual tune itself. If those songs flow, it’s great, but it’s about choosing tracks that have been game-changers or significant or have just stood the test of time. There’s a lot of box-ticking that goes on subconsciously without realising you’re doing it. The oldest song on the mix is by The Marvelettes, from 1964. Can you remember the time you first heard that track? It was very much the time of ‘Ready Steady Go’, which was just the best time ever. I mean, this was a TV pop show, the like of which has never been seen again. It was broadcast live on Friday nights, and it just wasn’t like light entertainment shows on the BBC at that time. It wasn’t like any conventional setting: it was bare studio walls and the cameras would cut through the audience so fast that you’d just have to get out the way quickly. (Laughs) Because I was doing a TV show that was made by the same producers, I used to go almost every week. And that show really brought Motown to the UK. So, I can remember seeing Stevie Wonder and The Supremes and all of them, and after the show, everyone would go clubbing, to places like The Scotch Of St James. I liked the lyric of that song as well, because it was a bit of early feminism, almost. It obviously resonated with me a bit, so that’s why that’s there. But again, it’s a Motown track that maybe not everyone will know, even though as it’s good as all the most famous ones. The most recent tracks on the mix are by Troyboi and Shamir. How did you discover them? Well, we’re big supporters of them both on my Radio 1 show. With Shamir, I heard ‘On The Regular’ and thought he was very talented, and then he had another track out after and that was good as well. Because obviously you’re looking for artists who are going to have a big body of work, rather than one track ever. We discovered Troyboi through Flosstradamus. They’re from Chicago and they found him – or he found them – online and then they started collaborating. They came into the studio on Radio 1 and they told us about [Troyboi], who’s from South London. I think ‘Fireman’ is really terrific, but he’s probably made about 10 tracks since then – it’s pouring out of him, a track a week. A lot of young musicians do that nowadays, because it’s so easy to put music up on Soundcloud or whatever. I understand why they want to do that – because it’s fresh and they want everyone to hear it – but it takes time for these songs to filter through, so I picked what I thought was the best of his. It’s possible that not everybody that likes the older stuff [on the mix] will necessarily go for him, but I hope that some people might. I very much wanted to represent the music of now. Is there any style of music that you don’t particularly enjoy? I’ve never been that keen on country music, really. (Laughs) And I’ve never got into opera. You just try to be very open to stuff, and I think there are really only two kinds of music: good music and not-good music. And that good music might be hip hop or it might be punk or anything else. I think you know when something breaks through. There’s this band called Slaves who should really be bracketed together with The Clash, but there is something really fresh about them. Skepta’s got on their case, and that’s brought them into that area of grime. It’s really nice when things can do that, without it all being mashed-up to such an extent that it all becomes some bland nothingness. You want to hear people [performing] the way they want to, and sometimes record labels bland artists out. I want to hear them as sharp as they can be. You’re the first female DJ to take part in the Masterpiece series; just the latest in an entire career of firsts. When you started out in journalism and broadcasting, who were your role models? Well, there weren’t any women. And I don’t think the term “role model” was used then, anyway. I guess one of the people who inspired me tremendously was David Frost, because he was a journalist but he was on TV and he was so irreverent and funny, and he had The Beatles on his show. When TV exploded in the early 60s, it was the young people taking over: at last they had the opportunity to do what they wanted, rather than just do a version of what their parents had done. That’s what I think was socially so important, and that’s why – in a way – I did what I did. What advice would you give to young people interested in pursuing a career in broadcasting or music? I always hear a lot of people saying, “I wish I’d been around in the 90s,” and the 90s were brilliant, and I knew they were at the time. But I say, “Yeah, but now is your time.” You need to make the culture work for you. You have to put something into it as well: you don’t just sit there and wait for it to happen. You have to go out and see that DJ on a very miserable Thursday night when it’s raining and you don’t even want to go out and you’ve got no money. Help to make that culture happen. I feel really sad when people say they can’t do things: you can and you must. It’s not about having huge opportunities handed to you on a plate: you’ve got to go and create those opportunities, and it will work. The dirty secret is that it’s all about hard work, which nobody wants to hear, do they? (Laughs) I appreciate that it is getting more difficult for people to find those jobs, but you have to put your life and soul into it. It’s like with this compilation: I’ve been working on that and other projects solidly for seven months, seven days a week, and I don’t mind because I love it. I’m sure you feel the same about what you do. We are very lucky. The main thing is to find out in your early teens what you think you might like to do. You won’t know necessarily, but you can aim towards it. I mean, I started off being a journalist because I went to see this movie called ‘Roman Holiday’ with Audrey Hepburn and Gregory Peck. I just thought that it looked great: you just run around going “Hold the front page!” (Laughs) It’s not like that at all, but because I started off there I stumbled into broadcasting. If an opportunity comes along, you take it, you grab it, and you work like mad to do it.